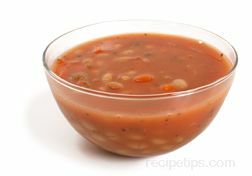 A water-based soup made from dried legumes grown fresh in French Canadian regions where it is referred to as soup aux pois. 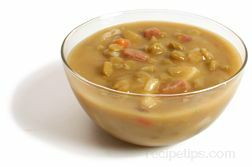 Medium-thick in texture, a typical French-Canadian Pea Soup combines dried yellow peas, salt pork, onions, herbs, and spices as the main ingredients. 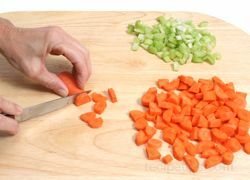 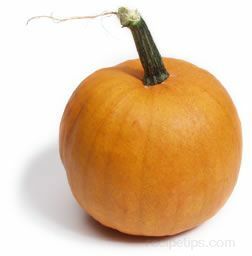 However, additional vegetables such as carrots or potatoes, pieces of ham, and different types of dried peas are often added to many homemade versions of this soup. 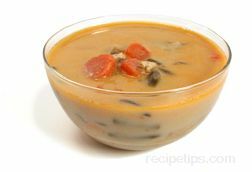 Yellow Pea Soup is a traditional soup of Canada and may be pale yellow or pale grey in color, depending on the ingredients used to make the soup.